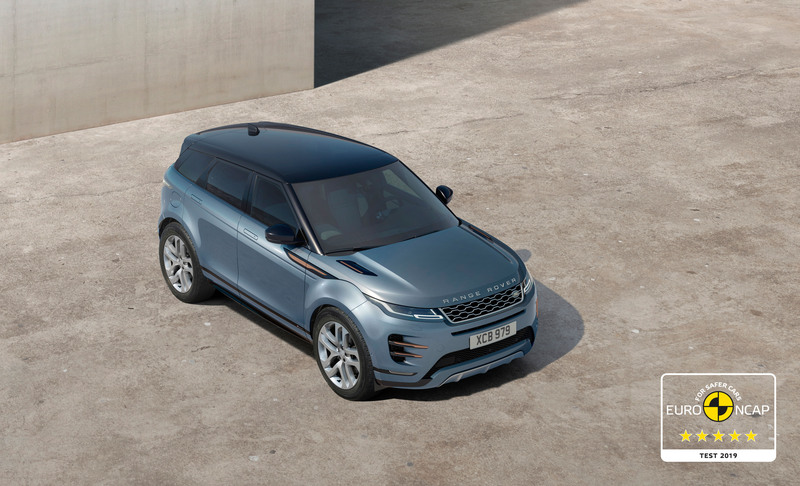 April 10 2019, Whitley, UK – The new Range Rover Evoque has been awarded a maximum five-star Euro NCAP safety rating, confirming its status as one of the most refined, capable and safe luxury compact SUVs on the market. Built on Land Rover's new Premium Transverse Architecture to ensure maximum occupant safety, the new Range Rover Evoque comes with the latest advanced driver assistance features, including Emergency Braking; Lane Keep Assist; Front and Rear Parking Aids; and a Rear Camera as standard, to help avoid road traffic accidents. Finbar McFall, Global Product Marketing Director at Jaguar Land Rover, said: "The Range Rover Evoque is at home in the city and the country, so we added the latest technologies aimed at preventing accidents and a new vehicle architecture to protect occupants in the event of an incident. The result is another five-star performer from Land Rover." The suite of advanced technologies on the new Range Rover Evoque includes Land Rover's ClearSight Rear View Mirror. Transforming into an HD video screen at the flick of a switch, it offers a wider 50-degree field of vision and superior low light visibility by displaying a rear-facing camera feed from the top of the car. It is ideal when carrying passengers in the second row or bulky items in the rear loadspace obscure the view behind.